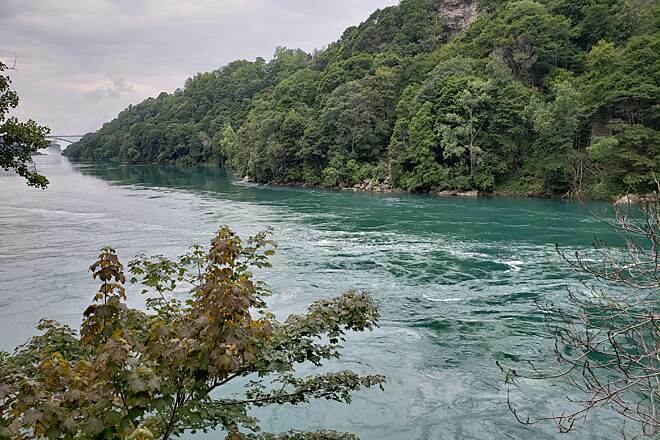 The Great Gorge Railway Trail offers a scenic hiking experience near New York's famed Niagara Falls destination. 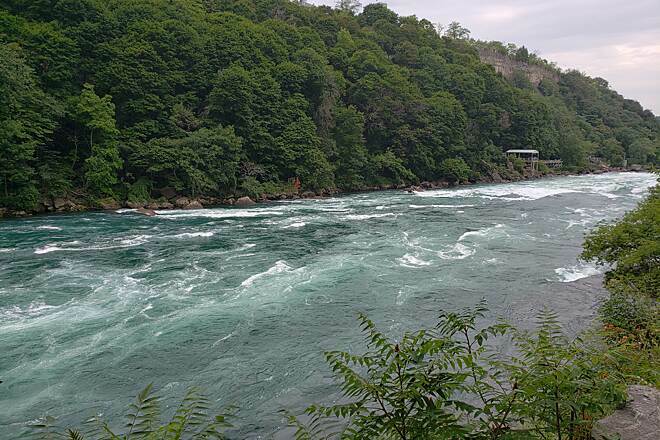 Begin your trek at the Niagara Gorge Discovery Center and descend into the gorge. 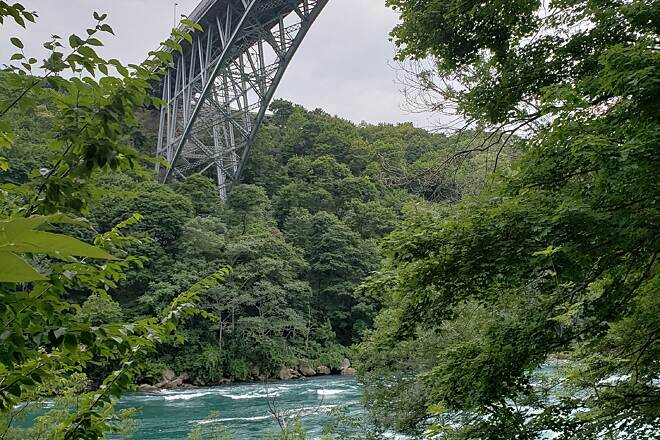 Although the trail is short (just over a mile), it offers beautiful views of the Niagara River and ends near Whirlpool Bridge. 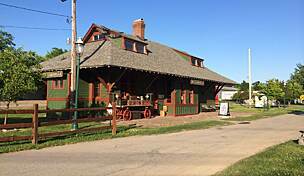 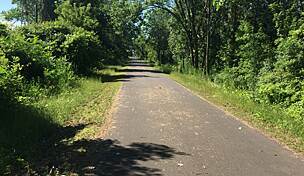 The rail-trail follows the route of the former Niagara Falls and Lewiston Railroad, a narrow-gauge electric rail line built in 1895. 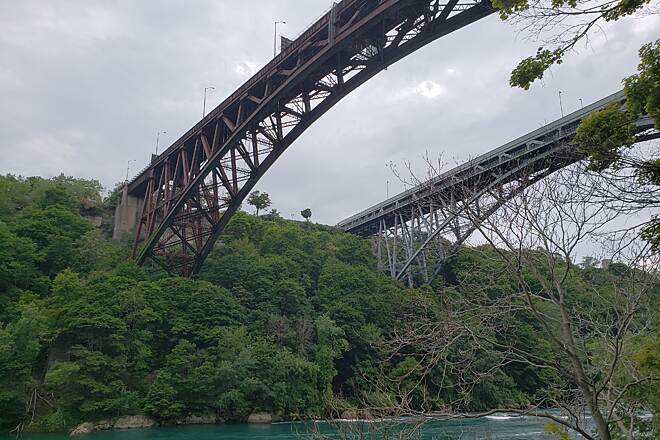 A massive rock fall near Whirlpool Bridge in 1935 damaged the tracks so severely that they were closed and never reopened for train traffic. 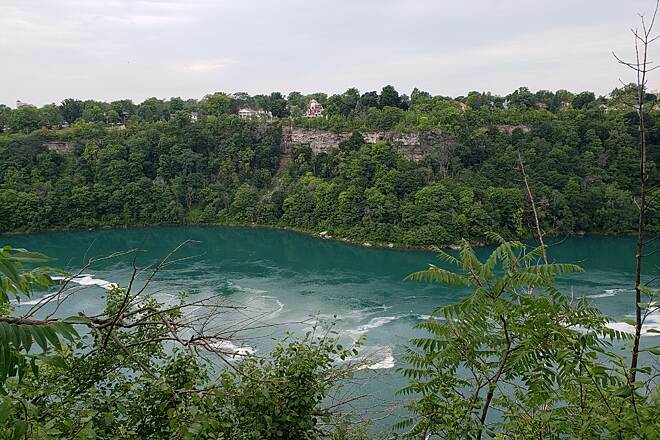 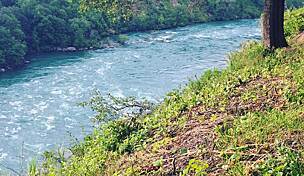 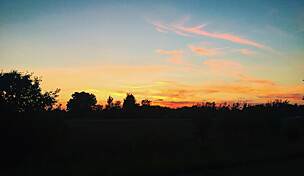 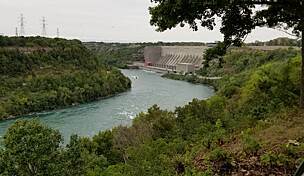 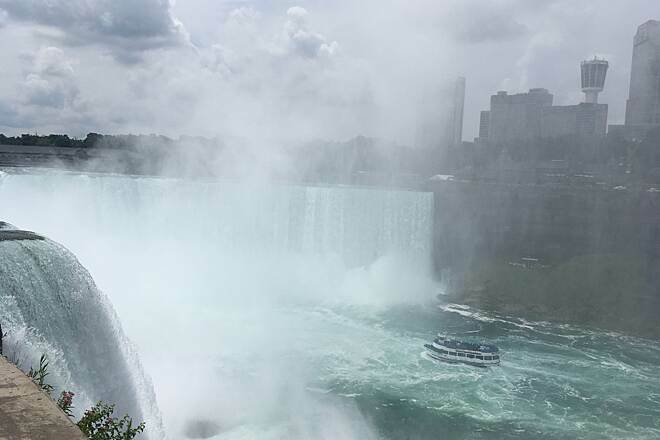 To extend your hiking experience, you can also pick up the Niagara Scenic Parkway Trail from the Niagara Gorge Discovery Center and, on the opposite side of the river, the nearby Devil's Hole Trail offers another hiking adventure. 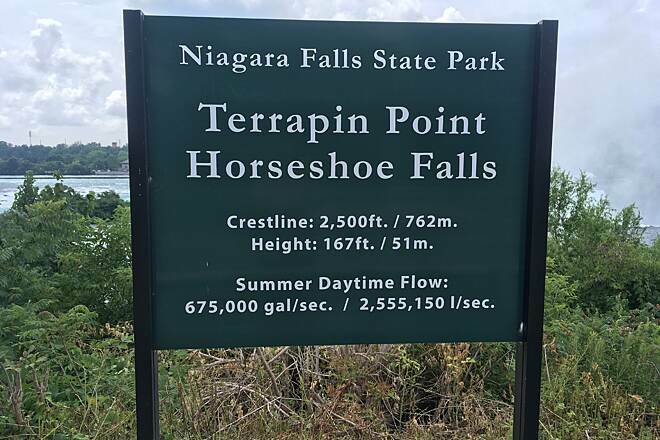 Parking is available at the Niagara Gorge Discovery Center (200 Robert Moses Parkway N., Niagara Falls). 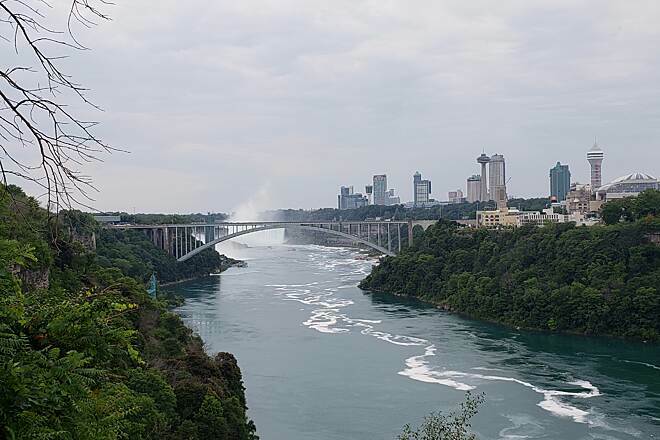 From Buffalo, take I-190 north to Robert Moses Parkway (Exit 21). 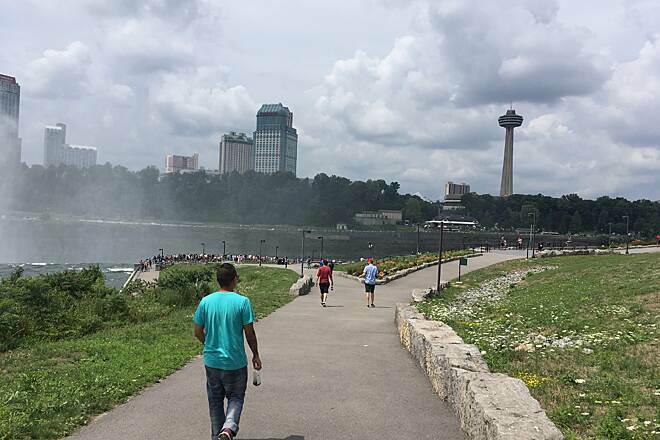 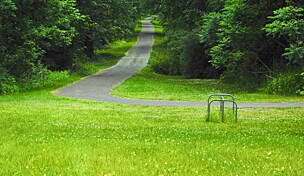 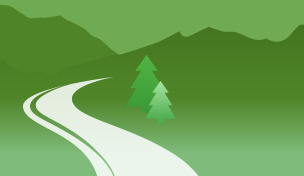 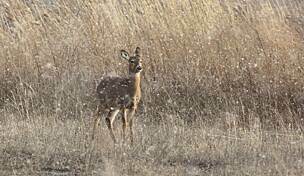 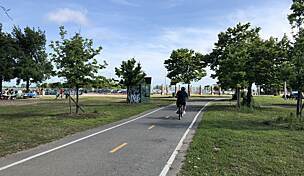 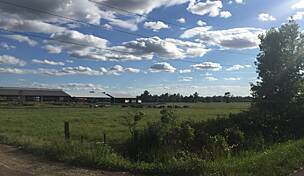 Follow Robert Moses Parkway north for just over 4 miles to reach the visitor center.